This was a big week in the baby department. With the births of two sweet boys to some of our dearest friends here, trips to the hospital to visit babies and for OB appointments, and a baby shower for another dear friend-- we are more excited than ever to meet our girl. I had my 28 week glucose test this week, yay for no gestational diabetes! I also had an appointment with my midwife to check on our girl and listen to her heartbeat (which was racing from the 100g of sugar I had consumed an hour prior). All looks good, and she is growing right on track. Since I have a negative blood type, I also had to get my Rhogam shot at this appointment. We feel so blessed with the care we have received at the Naval Hospital here. We've heard horror stories, considering military hospital care has a history of not being the greatest. But we cannot say enough great things about our sweet midwife, who knows us (Brian included) by name and calls after my appointment to follow up. She has honored every wish we have had thus far in the pregnancy and makes us feel supported in any way she can. I'm getting a little bit nervous about my flight home. Flying for 24 hours while 30 weeks pregnant? Swollen extremities, here I come. Compression stockings needed ASAP. It will be SO worth it though. I just can't wait to hug my family, wear a scarf, get a good haircut, and drink a pumpkin spice latte without sweating. You're beautiful, McKenzie! So excited for you to be Stateside for a bit. We're loving our trip back right now. 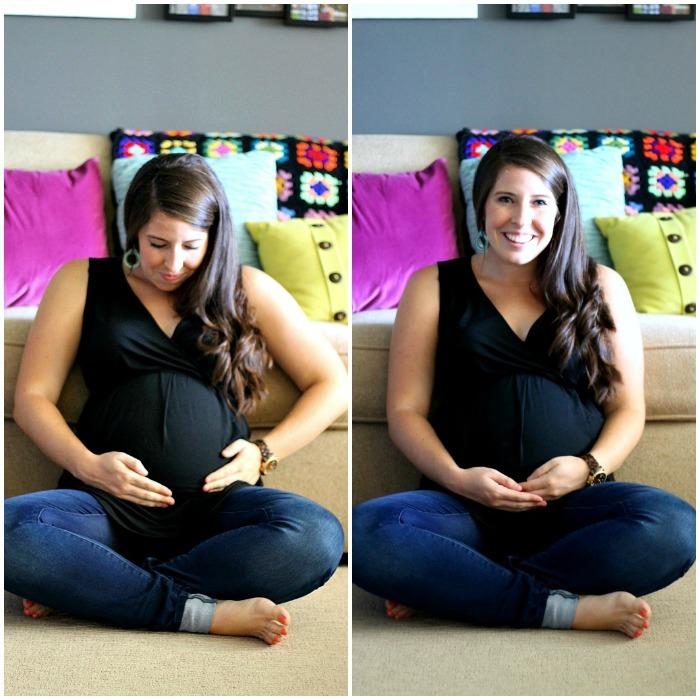 Your family is going to be so excited to hug that belly! These pictures are gorgeous! I love your dark grey wall! You are absolutely gorgeous, sweet friend! I adore your blog and can't wait to see pictures of your little lady. Much love!